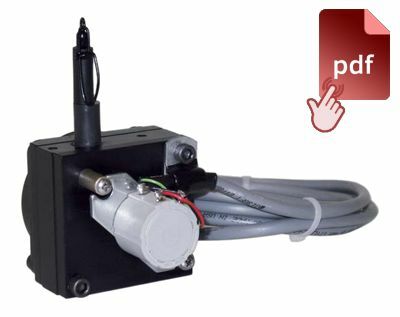 The PTX101 is a low cost, compact and easy to use encoder based cable-extension transducer. It is available with full stroke ranges up to 100 inches. The PTX101 provides a voltage feedback signal that is proportional to the linear movement of a traveling stainless-steel extension cable. Simply mount the body of the transducer to a fixed surface and attach the extension cable to the moving object. The PTX101 is recommended for application where space and money is limited.